This free standing towel stand is an elegant addition to any bathroom. 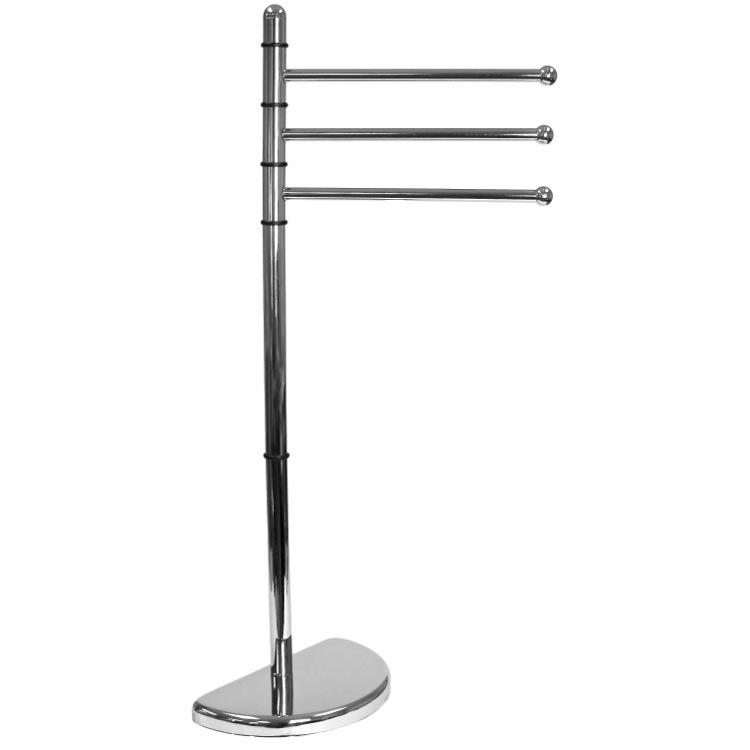 Made of chromed metal, this towel stand includes three towel tails to hold three separate towels. This towel holder is brass with a chromed outer, making it very sturdy. The half moon shaped base allows the stand to be placed against a wall for versatile styling.